Mobile apps are no longer a tactic, but a strategic plan for online businesses. 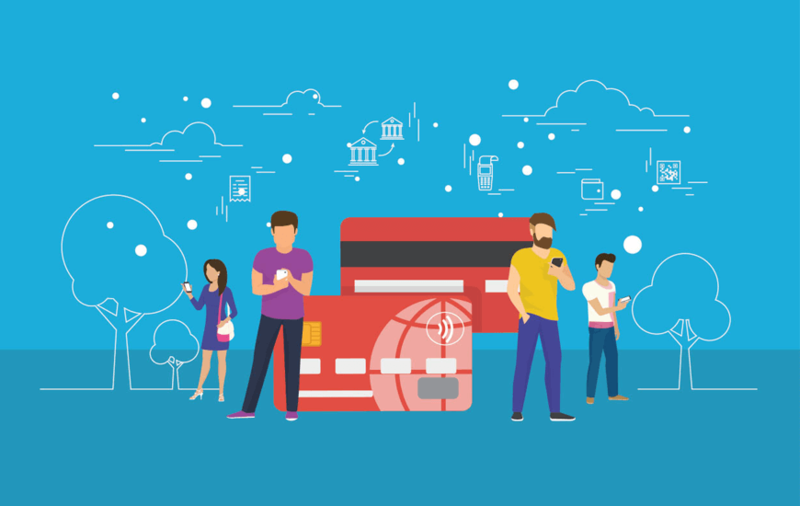 With the evolution of smartphone technology, more and more companies are becoming aware of the fact that they need to have a mobile app for their businesses to see new heights. While the percentage of mobile users have surpassed the percentage of desktop users way back, app usage has also seemed to overshadow the website usage lately. Research shows that users spend 90 percent of their time on mobile apps and only 10 percent in browsing the rest of the internet. But why do people prefer mobile apps more than websites? The consumer prefers mobile apps over websites due to seamless user experience, speed, various features, and special deals and offers. The mobile app shopping is at its all time high. In a recent study made by Button, the mobile commerce partnerships platform, it was shown that mobile shoppers did 108% more shopping through mobile apps rather than on the mobile web over the holidays. According to Adobe, smartphones made up for 51% of holiday shopping traffic and accounted for 30% of sales. This represents a 55% increase in revenue from mobile in the past 12 months, which aggregates to roughly around $38.8 billion. Mastercard’s data indicates that overall sales grew by 5.1%, and boasted that retail had the ‘best’ season in six years. Marketplace behavior revealed that shoppers browsed more and spent 121 percent more than the average of 2018 prior to the holidays. There is also a 108% rise in the number of app installs during the period. Thanksgiving emerged out to be the most prominent event for mobile shopping, while Cyber Monday issued the highest purchase volume throughout the entire holiday season. The study showed that 7 out of 10 Cyber Week shoppers were new users while 1 out of 3 users made another purchase within 45 days. Marketers are going to focus more on acquiring new users and turing them into power shoppers in 2019. 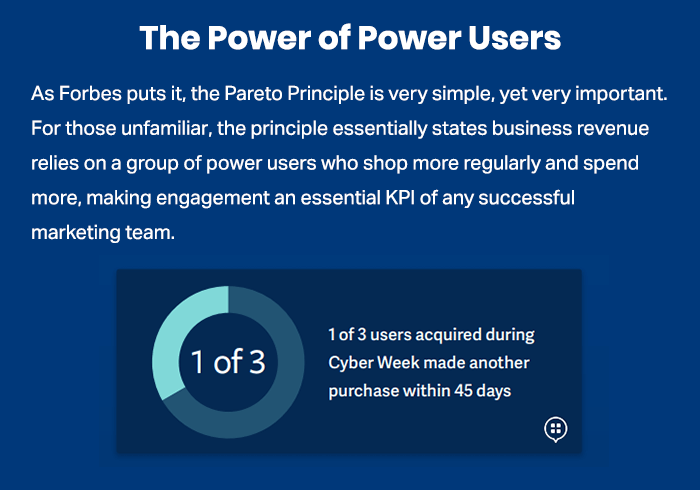 Power shoppers who shopped within 30 days of Cyber Week generated over 22% of the sales within the holiday period, made more than six shopping trips, and made purchases more than the average shoppers. These users are likely to shop in the upcoming months showing a strong presence of user loyalty. 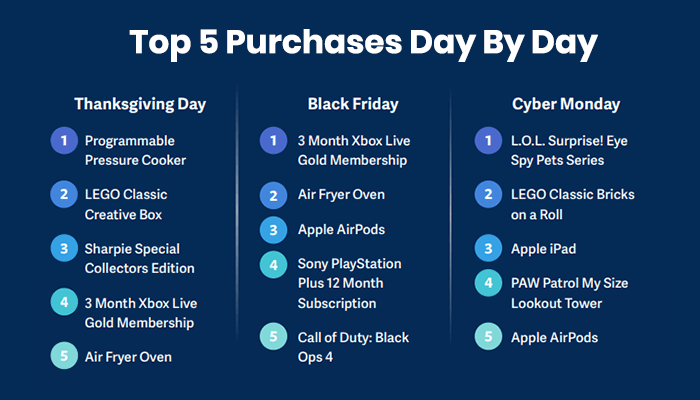 Gaming purchases were at peak on Black Friday, with subscriptions for PlayStation, Call of Duty, and Xbox Live memberships all ranking in the top five. Toy purchases such as LEGO Classic, Paw Patrol, L.O.L Surprise! Doll and Sharpies made their top 5 debuts on Thanksgiving and Cyber Monday. Shopping apps came out as a winner of holiday season shopping for 2018, delivering 14% higher conversion rate than mobile web. In-app revenue was also 117% higher that as compared to mobile web.